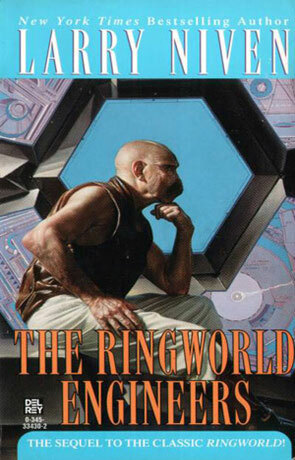 Ringworld Engineers is the sequel to the science fiction classic Ringworld, by Larry Niven. This is the sequel to Ringword (doh!). There's not much to say about it, other than it is as good as the original Ringworld and you if you liked the original Ringworld book, you will probably like this one as well. Louis Wo returns to the ring and gets into all kinds of strange adventures. Along the way, we get answers to a lot of the questions that where left unanswered in the first Ringworld story. Note: P.S. Some one wrote to me and asked why I hadn't written a longer review of R.E. Well, if you have read the original Ringworld and liked it, you will like R.E. If you didn't like it or haven't read it you shouldn't read it. It's that simple. Oh, yeah it's really hard to write anything about R.E. with out spoiling something in the original Ringworld story.